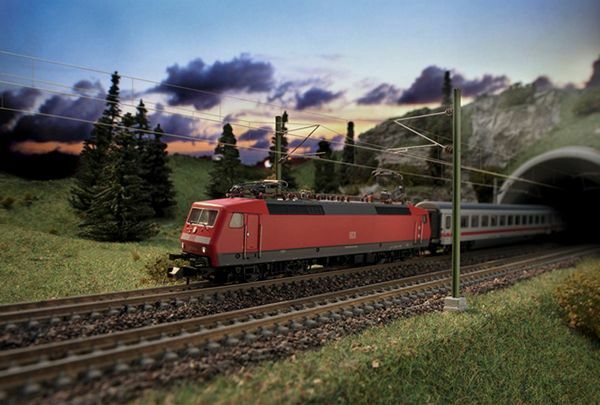 Prototype: German Railroad, Inc. (DB AG) passenger train: class 120 electric locomotive and two (2) passenger cars, 2nd class, all painted and lettered for the DB AG. Model: The locomotive has a digital interface. It also has a 5-pole motor with a flywheel. 4 axles powered. The headlights and marker lights are LEDs and they change over with the direction of travel. The locomotive has a close coupler mechanism. The passenger cars have close coupler mechanisms and the 66616 LED lighting kit can be installed in these cars. Total train length 450 mm / 17-3/4". 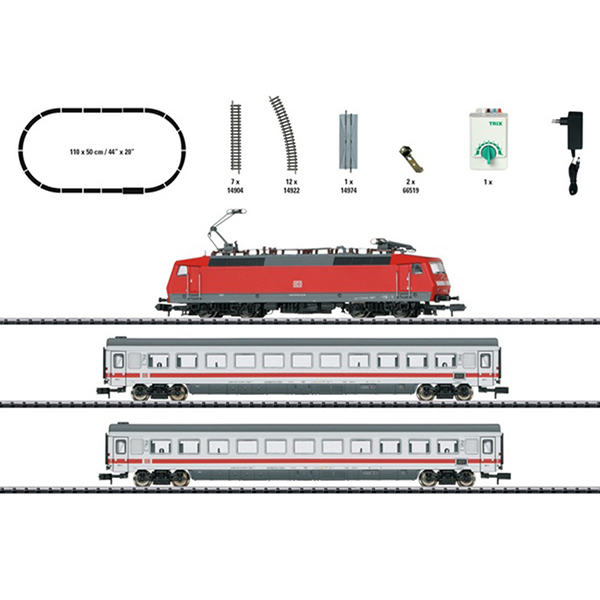 A locomotive controller with a switched mode power pack and hardware for connections are included. The oval of track includes Radius 2 curved track. Space required: 110 x 50 cm / 44" x 20". For interior lighting: 66616 LED lighting kit.